This edition of MRM’s News Bites features 7shifts, Chowbus, DoorDash, Antoine’s, Starbucks and Uber Eats, OpenTable, Tropical Smoothie Cafe, Arcos Dorados, Eat Here Brands, PourMyBeer and Toast, Cerity, Washington Hospitality Association, bellagreen and Swish. 7shifts closed a $10 million USD Series A funding round to accelerate growth and bring more automation and labor compliance to restaurant chains. The financing was led by Napier Park Financial Partners (“Napier Park”) with participation from Teamworthy Ventures, existing investor, Relay Ventures and former CEO of Snag (Snagajob), Peter Harrison. 7shifts has scheduled nearly 100 million shifts for the 16 million restaurant workers in the US, and collectively saved restaurateurs over $200 million in labor costs. The rapidly growing platform is used by more than 250,000 restaurant professionals and 10,000 restaurants, including large, growing franchises such as Bareburger, Panera, Honeygrow, &pizza, and Smoke's Poutinerie. 7shifts gives restaurant operators and employees software that makes tasks like scheduling, team communication, and shift feedback simple and transparent. The company plans to use the funds to strengthen 7shifts’ leadership position in scheduling automation and machine-learning technology for restaurants, while adding enterprise functionality and statewide labor compliance features. Chowbus secured a $4 million round of funding led by Greycroft Partners and FJ Labs, with additional investment from Hyde Park Angels, Fika Ventures, and individual investors. This new funding helps the company further invest in developing the platform and expanding to new markets. With its mobile app, Chowbus operates as a food-discovery platform, connecting diners with small, local restaurants’ top-rated dishes. Unlike other food-ordering platforms, Chowbus provides restaurants with not only logistical support, but marketing and technology support as well. 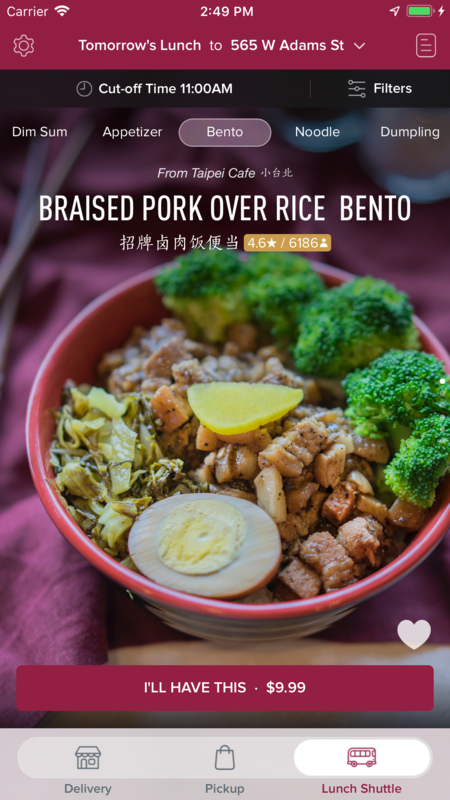 Chowbus helps restaurants showcase their best dishes by creating dish-centric menus with high-quality photography and user ratings, which in turn helps diners explore new cuisine. Last year, Chowbus achieved a 300 percent year-over-year revenue growth rate, and projects that the new funding will lead to expansion in 15-20 new markets in the upcoming year. The company currently operates in Chicago, Boston, New York City, Philadelphia, Champaign, IL, and Lansing, MI, and its services include an online marketplace to order food via pickup and delivery, as well as a Chowbus Shuttle, which delivers food on efficient routes. In addition to expanding geographically, Chowbus plans to onboard several key team members and build a number of value-adding features that benefit the user experience for both restaurants and consumers. On the heals of DoorDash being the first on-demand destination to reach a national audience, the company welcomed Ryan Sokol as Vice President of Engineering, He joins the company from Uber, where he led and scaled UberEats from its inception and served on the UberEats executive team. He will lead DoorDash engineering, including product, infrastructure and data science, reporting to CEO Tony Xu. Sokol was previously head of engineering at Voxer and has served stints at Genentech, IBM and smaller technology consultancies including his own. According to XI, Sokol comes to DoorDash at a critical inflection point In 2018, the company 5xed its geographic footprint from 600 to 3,300 cities and tripled in valuation to more than $4 billion. DoorDash doubled the engineering team to 200+ last year, working on a variety of problems from machine learning applications to logistics to personalizing consumer experiences. This year, they plan to double the team again. "I’m joining DoorDash to help an amazing team reach new heights," said Sokol. " All of my interactions and diligence with those I trust would lead me to believe that DoorDash is poised to be one of the most influential companies on the planet. I’m most looking forward to learning from some of the best and applying my accumulated knowledge to help DoorDash fast forward its tech to the future and realize its full potential as soon as possible." DoorDash saw 300- percent year-over-year growth in 2018, tripling business in annual sales. The company also made several key leadership hires over the past nine months, including CFO Prabir Adarkar, VP Strategic Finance Ravi Inukonda and CPO Sarah Wagener. 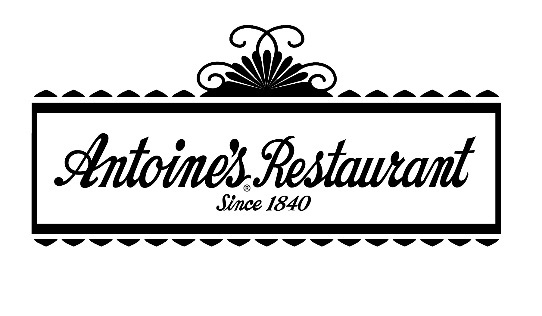 Antoine’s in New Orleans announced that Chef Rich Lee will serve as the restaurant’s newest executive chef, stepping into the role that Executive Chef Michael Regua commanded for the last 47 years. Chef Regua is currently helping transition Chef Lee until his retirement later this year. Originally from Charlotte, North Carolina, Chef Lee began his career in the U.S. Coast Guard, stationed in Panama City, Florida. After his time in the service, Chef Lee pursued his love of all things culinary and served as line cook and kitchen manager in the Panama City hospitality industry. His first big cooking opportunity arrived when he served as an executive steward for the U.S. Merchant Marines, sailing around the globe as the solo cook aboard his ship. There he discovered his passion for all different types of cuisines as the ship would pull into each exotic port. He would buy provisions, visit the local restaurants and markets, and incorporate each region’s fresh produce, seafood, meats, spices and seasonings into the ship’s daily menu. His career blossomed after becoming a land-dweller again, rising to the rank of executive chef over the next decade in the finest restaurants, hotels and resorts in the Florida Panhandle. After opening, creating the menus, and leading the teams at establishments such as the Saltwater Grill and the Boardwalk Beach Resort, Rich chose to broaden his culinary knowledge in the “front of the house”. Over the next 12 years, he worked in various management positions at high‐volume corporate restaurants in the Carolina markets. He then moved to New Orleans and was hired as a chef and trainer for Sodexo’s corporate division. He was quickly promoted to executive chef for Sodexo’s Energy and Resource division and ultimately served as senior manager of culinary development. During his seven years with Sodexo, Chef Lee led a North American Chefs Council of Canadian and American chefs, creating menus and establishing relationships with Sodexo’s global teams in Trinidad and Tobago, Australia, the Bahamas, and Canada. He also served as Sodexo’s lead chef of their Mindful brand, which provides a healthier approach to a client’s standard menu offering. Starbucks Coffee Company expanded its Starbucks Delivers pilot to an additional six cities across the United States. The expansion, in partnership with Uber Eats, began in San Francisco, the first of six new markets to offer the service to customers. Following an initial test in Miami, the company remains on track to bring Starbucks Delivers to nearly one-quarter of U.S. company-operated stores, with planned expansion to select stores in Boston, Chicago, Los Angeles, New York and Washington, D.C., in the coming weeks. 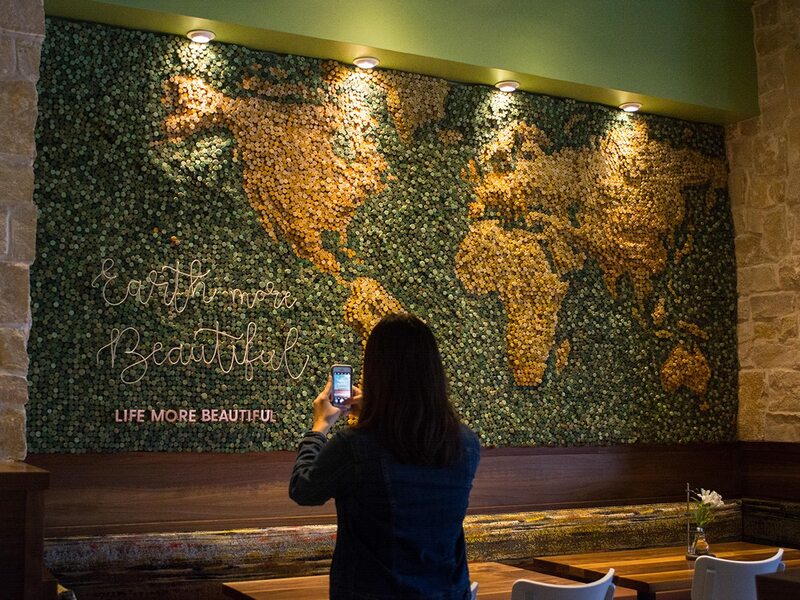 In total, Starbucks Delivers will be available in seven U.S. cities this spring. With approximately 95 percent of core menu items available directly from the Starbucks menu, customers will be able to customize their orders just as they would when ordering on Starbucks® mobile apps. Delivery orders will come with an initial $2.49 booking fee. OpenTable announced that OpenTable Dining Points can be used for hotel savings. U.S. diners can easily redeem their points to save anywhere from $20 to $200 at over 400,000 participating hotels available on KAYAK. From boutique properties to international favorites, diners can use their points to save on the perfect hotel. Tropical Smoothie Cafe appointed Charles Watson as its new Chief Executive Officer. Watson will lead the brand through its next phase of strategic growth. As CEO, Watson’s goal is to achieve $1 billion in sales and more than 1,500 cafes by 2023. “Charles has the tenacity, vision and passion this brand needs to continue our upward trajectory and will ensure the success of our franchisees is at the center of every decision we make,” said Scott Pressly, Chairman of the Board, Tropical Smoothie Cafe. "He has been instrumental in developing the culture of Tropical Smoothie Cafe and earning the trust of our franchisees. We look forward to realizing Charles' vision for the company." Watson has more than 10 years of experience with Tropical Smoothie Cafe and led the company’s franchise development efforts since 2010. He has been the Chief Development Officer since 2015 and directly responsible for selling more than 800 franchises during his tenure with the company. "I am overjoyed to have the opportunity to lead such an incredible brand that has truly become a part of my DNA over many years," said Watson. "I am forever grateful to our franchisees, support center team and our Board of Directors for their confidence in me as the leader who can guide Tropical Smoothie Cafe into a new era." Arcos Dorados, the world’s largest independent McDonald's franchisee, expects to employ more than 55,000 individuals in Latin America and the Caribbean during 2019, an increase of eight percent over the number employed in 2018. The company is positioned as a catalyst for change through its commitment to labor inclusion and reduction of inequality for young people. Arcos Dorados is one of the region’s largest formal employers of youth between the ages of 17 to 25, providing training and development opportunities. Over the last three years, Arcos Dorados provided approximately 150,000 employment opportunities for young people. For many of them, the experience was their first in the workplace. Arcos Dorados’ commitment to work inclusion is supported by partnerships with prestigious institutions in the region that are also dedicated to helping young people formally integrate into the working world. The company signed agreements in recent years with the primary foundations dedicated to eradicating youth unemployment in each country of the region, including Instituto Ayrton Senna (Brazil), Cimientos (Argentina, Colombia, Uruguay), Forge (Chile, Peru), NEO (Colombia) and the International Youth Foundation (Global), among others. "At Arcos Dorados, through public-private partnerships, we contribute to the development of our communities by attacking one of the region's main social challenges, youth unemployment. Through our programs, we assume the responsibility of actively collaborating to reduce the barriers to access a first formal job, " said Alonso. Arcos Dorados promotes the inclusion of vulnerable groups, offering them an opportunity for formal work that contributes to their development and independence and supports greater social integration. "All are welcome at Arcos Dorados. We promote a culture of work that is characterized by respect, inclusion and equal opportunities. We provide adequate training and career development to all young people in the countries where we operate and are committed to furthering the United Nations’ Sustainable Development Goal of reducing inequality,” concluded Alonso. Eat Here Brands, owner of eight Babalu® restaurant locations, sold its stake in Flowood, Mississippi restaurant Table 100 to Bill Latham and Al Roberts on December 31. Latham and Roberts, the co-founders of Babalu®, Table 100 and Eat Here Brands, both remain actively involved on Eat Here’s board of managers. The sale is part of Eat Here’s strategy to shift its focus to growing Babalu®, its core asset. Eat Here Brands, headquartered in Roswell, Georgia is the owner and operator of Babalu®, with locations in Atlanta; Birmingham, Alabama; Chapel Hill, North Carolina; Jackson, Mississippi; Lexington, Kentucky; and East Memphis, Memphis and Knoxville, Tennessee. PourMyBeer is partnering with Toast. With the integration, PourMyBeer clients who use the Toast POS can track beer sales more efficiently, leading to increased revenue from beverage sales. Cerity launched to enable small business owners to quickly and easily protect their team, their assets and their livelihood through an online workers’ compensation solution. According to the Bureau of Labor Statistics, there are over 29.6 million small businesses in the U.S. and that number is climbing. Many traditional insurance models were not built with a focus on small businesses, but it’s these owners who often need the most guidance and support as they look to properly and affordably protect their team while growing their operation. Cerity was designed specifically for small businesses and freelancers to be able to quickly input information, generate a quote, and purchase a policy, so that they can get back to what matters most – their business. Powered by a complex algorithm, Cerity’s proprietary pricing model provides tailored quotes that address the individual needs of business owners. Cerity has more pricing tiers than most insurance companies – up to 100 – making quotes more precise. Cerity is backed by Employers Holdings, Inc. , an industry veteran with over 100 years of experience in workers’ compensation. “With its team, technology and vision, Cerity is uniquely positioned to quickly become a major player in the industry,” said Douglas D. Dirks, President and Chief Executive Officer of Employers Holdings, Inc. The Washington Hospitality Association Education Foundation is partnering with the nonprofit Businesses Ending Slavery & Trafficking (BEST) to increase access to human trafficking awareness training for the state's hotel employees.Starting this month, which is National Slavery and Human Trafficking Prevention Month, BEST's training will be offered to the 6,500 Washington Hospitality Association members and their teams free of charge. "We are woven into the fabric of the daily lives of our guests and team members," said Anthony Anton, president and CEO of the Washington Hospitality Association. "As a result, hospitality industry leaders are recognizing the important role we play in preventing and ending this crime. Hotels take profound pride and responsibility in serving and protecting all guests." "When hotel employees are trained to recognize and report potential human trafficking situations, it can make all the difference in the life of someone who is being trafficked," Brettmann said. "For this reason, BEST is thrilled to announce our new partnership with the Washington Hospitality Association. This partnership will allow us to train thousands of hotel employees in Washington, and it will make our region even more proactive in preventing human trafficking." BEST's program is a 30-minute training that can be taken by individual hotel employees or in a larger group setting. The training is available in English or Spanish, and it has been proven to increase hotel employee reporting. bellagreen™ celebrated Earth Week last year with a pledge to cut its plastic footprint in half by March 2020. The brand is proud to announce that this promise has been fulfilled 14 months early, further advancing bellagreen’s mission to make life and Earth more beautiful with every meal. As of January 1, 2019, all eight bellagreen restaurants offer only paper straws and to-go bags, effectively reducing its plastic footprint by 50 percent. The American bistro believes the positive impact on the Earth is more than worth the incremental $40,000 annual investment. The creators of Facetune launched Swish, a new tool for food and restaurant professionals. Swish, by Lightricks, is a video content creating app that allows users to create short video ads with no editing experience necessary. The app gives small and large businesses the ability to create dynamic videos to help them compete with the big dogs. With foolproof templates users are guaranteed to be able to create a beautiful video every time — on-the-go, from the palm of your hand. Videos from Swish can take as little as two minutes to create. Targeted to small businesses and creators on-the-go, Swish capitalizes on the company's goal of empowering everyday individuals to unleash their creativity. Swish provides an easy-to-use resource for small businesses looking to make an impact online and more effectively market their brands without hefty graphic design or video editing fees.